1. 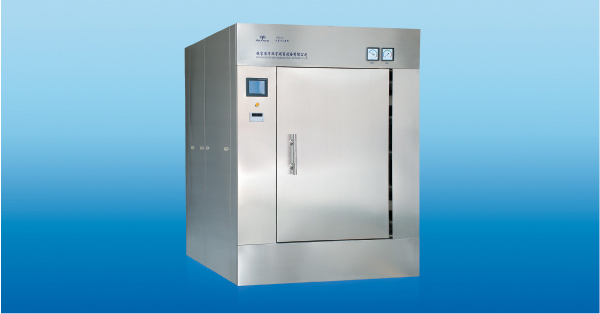 The pulse vacuum sterilizer should be inspected once a day; check the door frame and the rubber gasket for damage, whether it is flat, whether the door lock is flexible and effective; check whether the pressure gauge reaches the zero position when the steam is exhausted; close the door If you see the air leak through the steam, the air leakage will reach 0.1kpa/min, which will not achieve the sterilization effect. 2. Perform a B-D test once a day to check the sterilizer air removal effect. Use a special indicator map, put it into the standard bag (package size is 25cm × 25cm × 30cm, weight 4 ~ 5kg) or a single-use B-D test kit, placed in the sterilizer for 4 minutes, 134 ° C. After the test is completed, the B-D test paper is taken out to observe the color change, and the color is uniformly and uniformly, indicating that the performance of the cold air is good. 3. Biomonitoring should be carried out once a week. If biological indicators are used, products approved by the Ministry of Health should be selected. 1. Sterilized items are removed from the sterilizer and should be carefully inspected to avoid further contamination. 2. Check the integrity of the package and do not use it as a sterile bag if it is damaged. 3. Use a chemical indicating tape to seal or a bag containing a chemical indicating card. After sterilization or before using the sterile bag, check whether the sterilized package or state is reached. If it is not reached, it should not be used as a sterile bag. 4. Sterilized items should be marked with the date of sterilization. 5. Sterilized items must not be mixed with unsterilized items. 6. After each batch of sterilization has been completed, it should be registered according to the serial number. Record the number of sterilized items, sterilization temperature, duration of action, and date of sterilization, signed by the operator. If there is a temperature or time recording device, the recording paper should be archived for record. 7. Tools for the delivery of sterile items should be cleaned and kept dry and kept dry, and the items should be placed in order to prevent contamination. 8. Qualified sterile bags should be placed in the sterile storage room immediately. The room should be closed and disinfected and cleaned.